The GT-R's dynamic styling is both attractive and functional. The V-motion grille, one of Nissan's latest design signatures, is enlarged to provide better engine cooling and features a matte chrome finish and mesh pattern. The hood, featuring pronounced character lines flowing flawlessly from the grille, is reinforced to enhance stability during high speed driving. By essentially eliminating hood deformation, the hood design greatly improves aerodynamic performance at the front of the vehicle at high speeds. Nearly all of the visual changes made to the GT-R's exterior for the 2017 model year were intended to improve aerodynamic performance; more specifically, aerodynamic efficiency was enhanced in three key areas: downforce generation, drag reduction and improved cooling of vital vehicle systems. The goal was to maximize cooling airflow, while at the same time keeping aerodynamic drag in check (for example, not increasing drag in one area of the vehicle as a result of improving cooling performance/airflow in another). In addition to the grille and hood, the curving profile of the front under spoiler was slightly extended and lowered by a few millimeters to improve airflow at its lower edge (the ground clearance of the previous model has been maintained). By reshaping the sill cover along the lower portions of the sides of the car, the amount of air being drawn underneath was reduced, countering vehicle lift and improving stability. The C-pillars were also redesigned, with the upper portion shaped to deliver better airflow management by preventing the generation of a smaller vortex. The rear of the GT-R continues to be defined by its iconic round taillights. A silver-finish diffuser and side air vents were incorporated next to the quad titanium exhaust tips to improve the car's aerodynamics. Also, the character line that separates the lower black section from the body panel was heightened to make the car look wider and more aggressive. Special attention to aerodynamics includes active grille shutters, underfloor aero covers and the detailed front and rear fascia and windshield designs. The result is a coefficient of drag of just 0.26 Cd (SV and SL models). Fill an impressive interior with friends and enjoy more of everything. 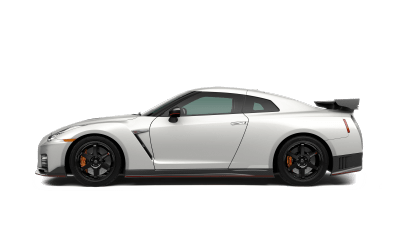 Test Drive this exciting new Nissan GT-R at Team Nissan of Oxnard or call (888) 548-4372 today! The 2018 GT-R's superbly crafted interior delivers an unparalleled degree of comfort, luxury and everyday usability. Seamlessly wrapped in one continuous hide of the highest quality Nappa leather, the dashboard adopts a "horizontal flow" to deliver a sense of high stability for the car's front-seat occupants, while the line from the instrument cluster to the center console provides a distinct driver-oriented environment for those behind the steering wheel. In keeping with the all-out performance targets for the GT-R, the layer of cushioned material found beneath the leather is a thin material to help keep overall weight down, while still providing the highest quality of texture. The leather is artfully stitched together throughout the cabin by a master craftsman. 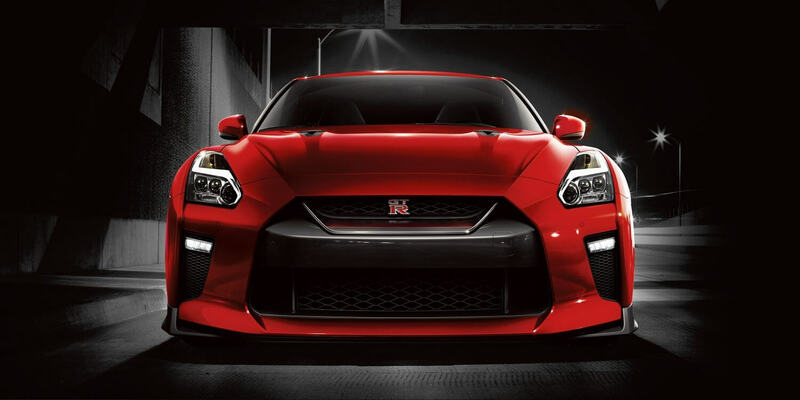 Test Drive this exciting new Nissan GT-R at Team Nissan of Oxnard or call (888) 548-4372 today!